In 2012 when he was appointed to the HCA it was reported that he would be paid £12,000 a year for working two days a month(4). He has been earning more in a day than many tenants would take home in a week. The Board is supposed to regularly review tenant concerns. If they ever bothered to listen to the warnings tenants repeatedly gave they chose not to deal with them. Did Preiskel ever bring the HCA’s attention to the safety dangers raised by tenants? If not, why not? Did they ever listen to the concerns of their own staff? A former KCTMO worker was so worried about the fire risk to tenants that she says she “used to have nightmares about blocks burning down”(6). Yet KCTMO management allowed the fire safety failures to continue and their Board member Preiskel apparently never notified his other employer, the HCA. If Grenfell tenants got tired of their complaints being ignored by their landlord and, taking the next and final step in the complaints procedure available to them, then tried to complain to the HCA and/or point out safety failures it did them no good. Any tenant who has tried to pursue a complaint against their landlord and, receiving no satisfaction from them, then tried to take it to HCA (or its predecessors like the TSA) knows how frustrating this whole process usually is. As regulator of social landlords the HCA is the final port of call for tenants dissatisfied with how their complaints have been dealt by their landlord(7). The HCA have the legal power to demand appropriate remedies from landlords and to penalise them for their failings. But the criteria for the HCA to accept tenants’ complaints are ridiculously strict, largely due to how the HCA has chosen to interpret the relevant law. This is a type of bias, ingrained within the management culture of social housing – unsurprisingly, when there is a revolving door of job-hopping between landlords, regulator and property developers with a culture of shared self-interest and mutual financial gain. The social housing regulator has said there will be no clear definition of the ‘serious detriment’ that will see it intervene in consumer regulation cases. Deborah Ilott, strategic regulation manager at the TSA, said: ‘We can’t define precisely what serious detriment means because it will vary from case to case. [...] Consumer complaints are expected to be resolved by the landlord in the first instance, and then by a local MP, councillor or tenant panel. After eight weeks have elapsed the tenant will be able to go to the housing ombudsman. Yet, even by this strict criteria, we might expect some investigation of the fire safety failings repeatedly pointed out by Grenfell tenants. Anthony Preiskel surely should have been aware of them if the TMO Board’s paying lip service to ‘encouraging tenant participation’ etc had anything more than a cosmetic function – so did he report them back to the HCA? If not, why not? If he did, were they rejected as not falling within potential “serious detriment”? These are crucial questions in the investigation of the causes of the Grenfell Tower fire – but will they be asked, never mind answered? Will the conclusion be that the buck stops nowhere? The HCA is claimed to be the last line of defense in listening to tenants’ concerns and in protecting tenants’ safety against negligent landlords. Will deliberately slack regulation be allowed to get way with it and continue? • A convincing action plan to sort things out. If you don’t do this you could end up with a G2 or G3 rating [ie, HCA governance ratings implying management failings]. The cardinal sin is to fail to tell the HCA what is going on. It is a big mistake to sort things out and then tell the HCA later. You must keep them in the loop. The Royal Borough of Kensington & Chelsea also has blood on its hands; in the 1990s the Rotten Borough delegated management of its council housing stock to KCTMO. Since then they have a legal obligation to monitor the TMO’s performance - they recently gave it a glowing review, singling out the Grenfell Tower refurbishment and its health & safety aspects for praise(12). As a landlord, supposedly under the legal obligations outlined in the quote above, KCTMO was clearly not heeding such basic advice – nor was it having its legal obligations adequately forced on them by the RBKC Housing Department or HCA who are supposed to monitor their performance. Were HCA notified by the TMO of the outstanding fire safety issues repeatedly raised by tenants? Instead of taking seriously concerns raised by tenants widely across social media the Council and TMO were trying to gag tenant bloggers by threatening them with legal action(13). If the HCA ever bothered to look at what Grenfell Action Group and others were saying for years about their landlord’s mismanagement it was ignored. Did the local Council or Mr Preiskel – the direct link between the HCA and KCTMO, sitting on both Boards – ever raise tenant concerns about fire safety with HCA? Or did he sleep his way through his £500 a day HCA job, only waking to collect the pay cheque? Successive Labour and Tory governments and local councils have all encouraged the gradual privatisation, gentrification and displacement of social housing from the urban landscape. The politicians and management all have blood on their hands for weakening effective regulation of landlords – and also for failing to implement recommendations that fitting sprinkler systems should become a legal requirement – rejected on the grounds that the extra cost would discourage house building(14). The landlord KCTMO is rightly in the spotlight now for its murderous policies. But the HCA, as housing regulator of KCTMO and supposed defender of tenants’ consumer rights and safety, also has questions to answer and at present they aren’t being asked. The HCA have acted as a buffer protecting social landlords and their speculator friends, much more concerned with social landlords’ financial health and commercial expansion(15) than with the valid complaints of tenants and their safety. 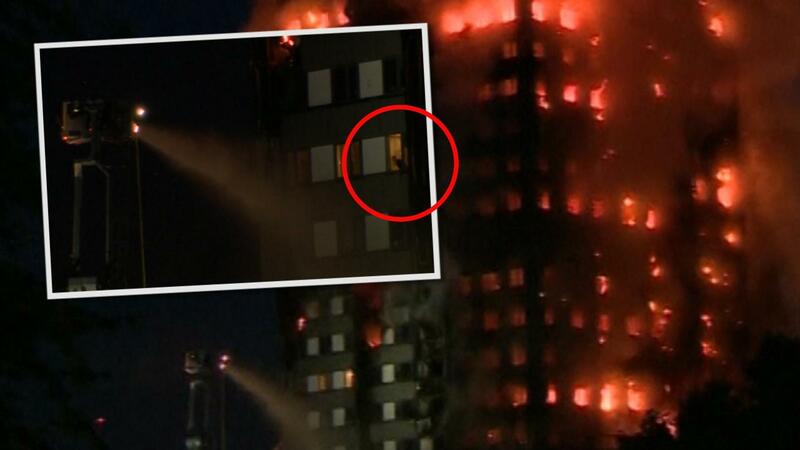 If they had monitored KCTMO more closely and taken seriously tenant complaints this tragedy might have been avoided. One of HCA’s own board members, Mr Preiskel, is deeply implicated in KCTMO’s deadly mismanagement of Grenfell Tower and the regime that made it possible. The HCA should take its share of the blame but there is a wider collective responsibility; the landlords, politicians, developers and regulators are all guilty of creating a culture of contempt and neglect towards tenants – everything, including lives, has been sacrificed for the pursuit of profit and power. Tenants don’t have enough of either to be respected; they are seen as an obstacle to greater, more efficient capital accumulation. Social housing is now seen as just another “property portfolio” on the Monopoly board of the city. It has taken a tragedy like Grenfell Tower to expose this undeniably for all to see. Anthony Preiskel is a convenient example of the bureaucrats who inhabit the now-integrated world of real estate speculation and social housing; a former property developer happily sitting on the Board of both landlord KCTMO and its regulator HCA with no admitted conflict of interest by either of these bodies. (Leading councillors in the Rotten Borough of Kensington & Chelsea also have careers combining politics, social housing management and commercial property development, as ably exposed on the Grenfell Action Groups blog(16).) The management practice of these agencies created this disaster. As the bosses earn their six figure salaries their massive pension pots accumulate; they wait for the likely MBE award and mutual praise, backslapping and regular expense account free lunches for their service to ‘the public good’. Meanwhile, in the name of belt-tightening austerity, they often impose wage freezes on their frontline staff and extortionate service charges and rents on tenants. On retirement, a prestigious lucrative seat on the Board of a charity or of a public service ripe for privatisation beckons. Healthy profit from their property dealings on the side (lubricated by their extensive career contacts) may also boost their income. The very logic of capitalism encourages the cutting of corners to increase profit but there are, in different times and places, massive variations in the implementation of safety regulation – often dependent on how much safety working class struggle has won over long periods and in response to disasters like Grenfell. Private property, control and possession of territory are fundamental to social relations in capitalism. Will these events encourage a deeper questioning of power relations in class society? For too long the poor have paid a heavy price at the hands of the politicians, gentrifiers, real estate speculators and landlords. Now it’s time to organise to make it payback time. 2) First legislated for by the Tories in the 1980s, TMOs became operational in the 1990s under the Blairite Labour Government as a halfway house form of organisation on the path towards eventual privatisation of social housing. Promoted laughably as a form of tenant empowerment, they replaced the local authority landlord with a new bureaucratic formation with less accountability to tenants. 7) The Housing Ombudsman and the HCA have an agreement for dealing with different types of complaints. Complaints of individual tenants are more often dealt with by the Ombudsman and tenants have complained of the HO's bias towards favouring the landlords. Some complaints, e.g. of a “systemic failure” in governance and regarding serious safety issues, can be dealt with by the HCA. 15) Now thoroughly integrated into the world of big bucks property development, larger TMOs and Housing Associations have commercial wings that build property for sale and rent at market prices. Their social housing sector, its property value and rental income, is used as collateral to guarantee the loans that fund their commercial property speculation. Councillors have attended international property investment conferences but claim it was in a personal capacity unrelated to council plans for ‘regeneration’ – ie, gentrification. Council leaders claim that the free lunches bought them by their real estate pals have nothing to do with their council roles. Feilding-Mellen runs his own property development company with a name brilliantly unconscious of its own irony; ‘Socially Conscious Capital’. I'm still reading this, but this segment here really connects the public and private, the governmental and capitalistic, which have always been intertwined since the bourgeois carried out the Enclosures and criminalization of the unemployed through the House of Commons: "Anthony Preiskel is a convenient example of the bureaucrats who inhabit the now-integrated world of real estate speculation and social housing; a former property developer happily sitting on the Board of both landlord KCTMO and its regulator HCA with no admitted conflict of interest by either of these bodies." Good post from Red. They will probably also be aware of the much wider cutting back of both 'statutory' and other related and enforceable 'regulations' together with the 'inspection regimes' meant to enforce some of these. Quoted in a UK Guardian letter from the government website boasting that ''Over 2,400 regulations scrapped through the Red Tape Challenge; Saving home builders and councils around £100m by reducing 100s of locally applied housing standards to 5 national standards; £90m annual savings to business from Defra reducing environmental guidance by over 80%; Businesses with good records have had fire safety inspections reduced from 6 hours to 45 minutes, allowing managers to quickly get back to their day job'' And with little or no regard to the consequences. Another great article by Red, thanks! • Having reviewed the evidence we are not completely assured that the Regulator is discharging his responsibilities as we would expect. First, he has interpreted his remit as narrowly as possible. In responding to our report we request that he explain and justify his application of a test that breaches of standards should be systemic when he assesses serious detriment caused to tenants by a breach of consumer standards. Second, we formed the impression that the Regulator has treated consumer regulation as a distraction from his main job, economic regulation. - Grenfell Tower had not had a full fire risk assessment since the new panels were put in place (part of a major refurb started in December 2015). - An "Inside Housing" investigation in 2015 revealed that just 18 of 2,925 council-owned high-rise blocks in England have sprinklers inside flats, with only 187 having sprinklers in communal areas! It also mentions the Lakanal House fire in Camberwell in 2009. This only killed six people. The causes were: the same inflammable panels as at Grenfell Tower; no sprinklers; inadequate fire escapes... In February this year Southwark council accepted legal responsibility for the fire. I have to admit that the thing which most horrified me about the whole incident is that the panels were stuffed with polythene! In fact newspaper articles referred to it by the slightly longer name "polyethylene", presumably because that's what the manufacturers told them to call it in the hope that ordinary people would be too thick to realise that it's the material used to make disposable shopping bags, items not noted for their fire-resistant qualities. Private Eye magazine has now picked up this HCA story in its latest issue - along with lots of other stuff about the Grenfell fire. Since the revelations about Anthony Preiskel were first raised here, things have developed. A recent Private Eye (#1459) reports that Preiskel has now been sacked from the board of the HCA by government communities secretary Sajid Javid "with immediate effect". He remains on the board of K&CTMO which manages the council's social housing. Thanks for the updates, it's good that this information has got out to a bigger audience!